How would you feel if you looked in the mirror and saw teeth that were straighter and brighter? Research has suggested that people with more attractive smiles are perceived by their peers as being more successful, more confident, and even younger on a whole. If you’re struggling with noticeable dental flaws that don’t represent the true you, Dr. Jamie Guthrie and the rest of our dedicated team can transform your appearance for the better with cosmetic dentistry. Contact our Ardmore practice today to schedule your first consultation, or if you have any questions we can help you with. New patients from Marietta, OK and surrounding areas are always welcomed! There are all kinds of dental flaws that can leave your self-esteem damaged, including dark stains, gaps between teeth, worn-down enamel, and much more. If your teeth are in need of a complete makeover, porcelain veneers could be the ideal solution. Veneers are high-quality, all-ceramic restorations that are designed to be extremely thin. Each veneer Dr. Guthrie creates for her patients is precisely designed with the patient’s personal needs in mind, including their overall facial appearance and the personal goals they have for their cosmetic transformation. During your initial consultation, our team will be happy to review this important information in as much detail as possible. We may even use photos to ensure that we fully understand what you’re looking for. After creating models of her proposed design and receiving the patient’s go-ahead, Dr. Guthrie will provide temporary veneers for you to wear in the interim between appointments. Your permanent veneer will then be crafted by a high-quality dental laboratory and returned to our Ardmore office for the final placement. The thin nature of veneers allows them to fit over the front visible surface of your teeth, covering a wide variety of imperfections all at once while appearing natural and beautiful. They even resist staining better than your original tooth enamel, which means the improvements we’ve helped you achieve will last even longer. 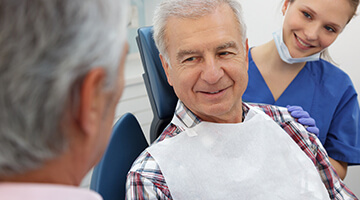 When a minor dental problem like a chip or a stain is causing you to hide your smile, direct bonding is a fast and cost-effective treatment option that can work wonders here in Ardmore. The process is very simple – Dr. Guthrie will apply the tooth-colored composite resin material to the tooth and proceed to sculpt it with a careful and precise touch, hiding the imperfection in a seamlessly natural fashion. After ensuring that it’s hardened in place, you’re free to admire the improvement in the mirror! In most cases, direct bonding only takes a single appointment, and the results can last for multiple years as long as they’re cared for properly with regular appointments and at-home oral hygiene. Tooth stains and discoloration can happen for several reasons, from poor oral hygiene and diet to unavoidable factors like age and genetics. Whatever the cause is for your lackluster smile, our team looks forward to revitalizing it with teeth whitening services. Dr. Guthrie offers multiple teeth whitening options that will depend on the patient’s personal preferences and timeframe. Are you in need of fast, dramatic results for a big event coming up? ZOOM! in-office teeth whitening can be completed in a single appointment while you relax in the treatment chair, improving your enamel by several shades. Alternatively, take-home kits with high-grade teeth whitening gel and custom oral trays are also available for more gradual, flexible changes in the comfort of your own home. 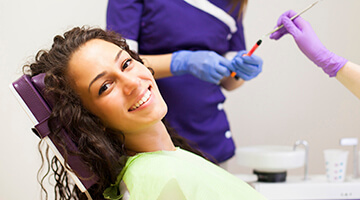 There are so many cosmetic dentistry services available in the dental world today – patients may even find their choices overwhelming. Here in Ardmore, Dr. Guthrie and the rest of our team would be happy to help you determine which options will help you achieve the gorgeous smile you’ve always dreamed of. With your very own smile makeover plan, anything is possible! 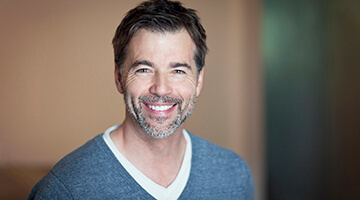 During your initial consultation, Dr. Guthrie recommends that patients bring in photos of their favorite smiles, whether they belong to a close friend or a celebrity. This will provide our team with valuable information about the attributes you find important. Additionally, we will closely examine your face, skin tone, and mouth to determine what would look best. 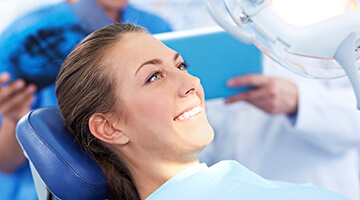 Dr. Guthrie may recommend teeth whitening, porcelain veneers, teeth whitening, direct bonding, or other cosmetic services – the complexity of your smile makeover plan will directly affect the length of it. However, by determining this information ahead of time, our team can get creative with your scheduling and financing for a much smoother treatment experience overall. We look forward to getting started! Dr. Guthrie enjoys outfitting her office with the latest in modern dental technology, including revolutionary laser treatment. If you’re struggling with an overly “gummy” or uneven smile, focused soft tissue laser treatment can gently trim away an excess gum line and create a much more aesthetically pleasing appearance, unveiling once-hidden healthy tooth structure in the process. Better yet, our soft tissue laser will provide instant sterilization and minimize bleeding, which greatly accelerates the recovery process. Patient comfort is always an important priority for our team here in Ardmore.